Originally designed for critical listening in a mastering studio, the EA4 hybrid amplifier features NOS Siemens E88CC tubes in the first gain stage, driving premium English MOSFET power transistors for truly impressive output (405 watts/ch RMS). Highly articulate, but at the same time warm and remarkably musical. 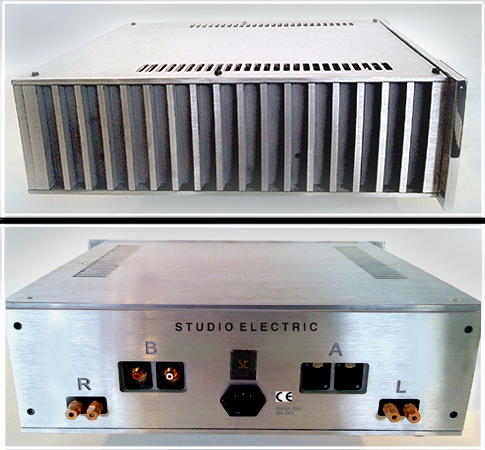 This exceptional amplifier can be listened to for hours without fatigue, and can bring back the often missing emotional connection that other large solid-state amplifiers have sacrificed in the quest for sheer power. 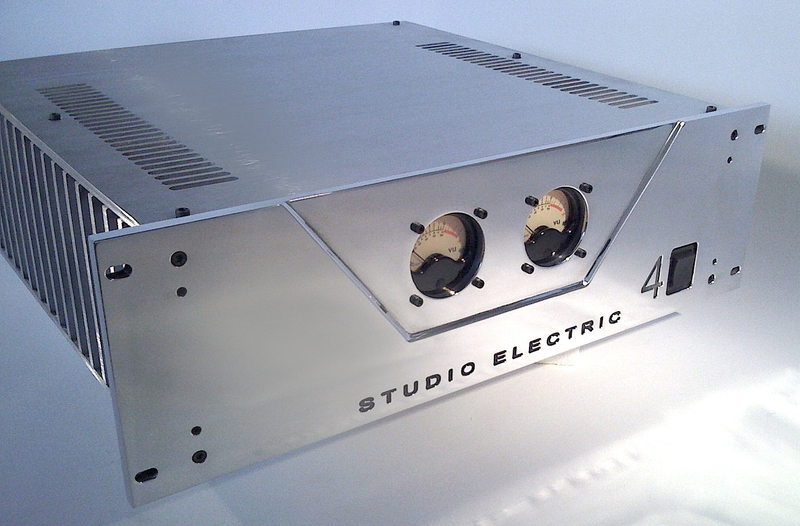 Studio Electric loudspeakers are warranted for two years from date of manufacture. In most cases, the warranty is transferable. We sell direct. But we also have a dealer program. Please inquire. 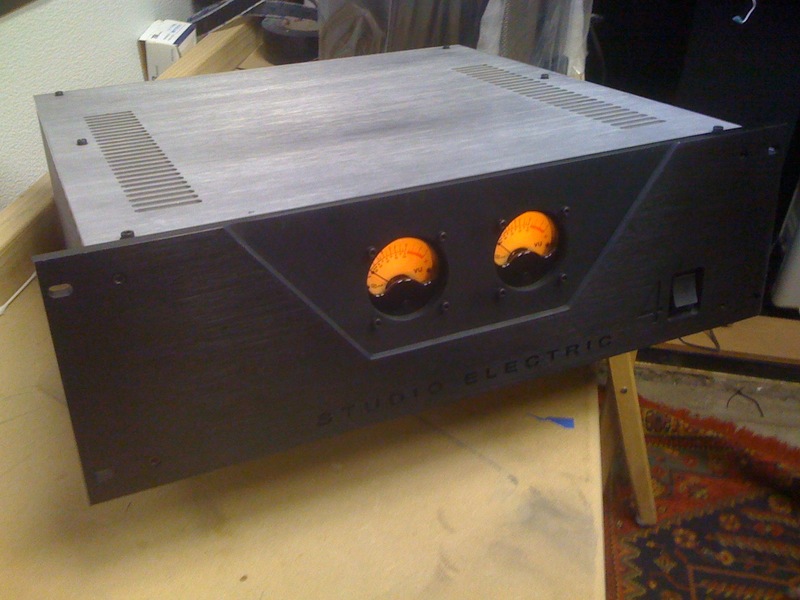 Though we do stock some finished units, normally we build your speakers when ordered. M1 and FS1 speakers can usually ship in 3-4 weeks. T2, T3 speakers and EA4 amplifiers will take 10-12 weeks. A 50% deposit is required on all custom builds. Copyright © 2017 Studio Electric LLC | All Rights Reserved.